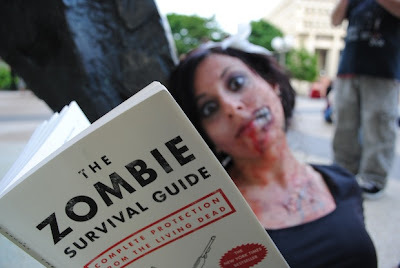 The paparazzi caught this ZOMBIE reading THE ZOMBIE SURVIVAL GUIDE--wait, if you're already a zombie isn't it a little late for that book? Whatever. 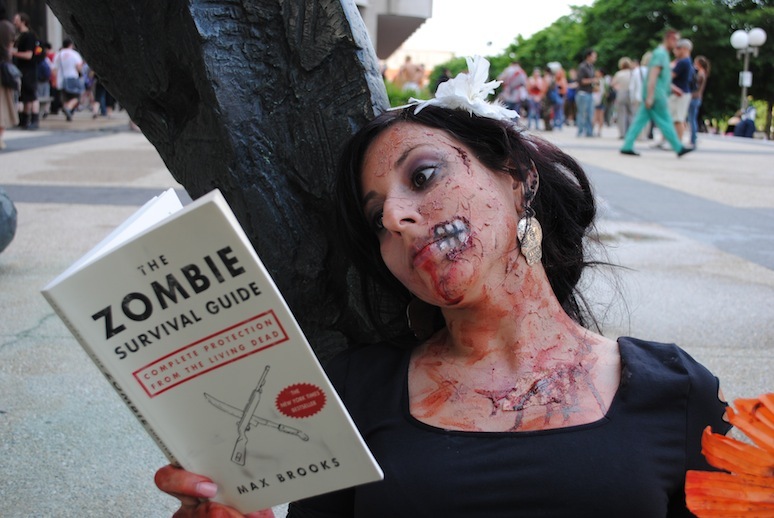 Books make even the undead hot, so we approve! That zombie one is pretty good.